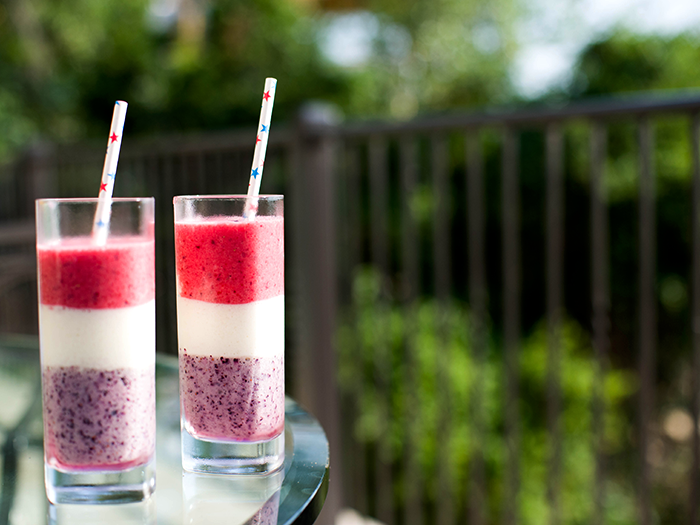 To start the festivities off right, my friend Rachel made these deliciously fresh and fruity triple berry smoothies. So patriotic, don’t you think? Hillary brought star-printed paper straws which we used all weekend long. 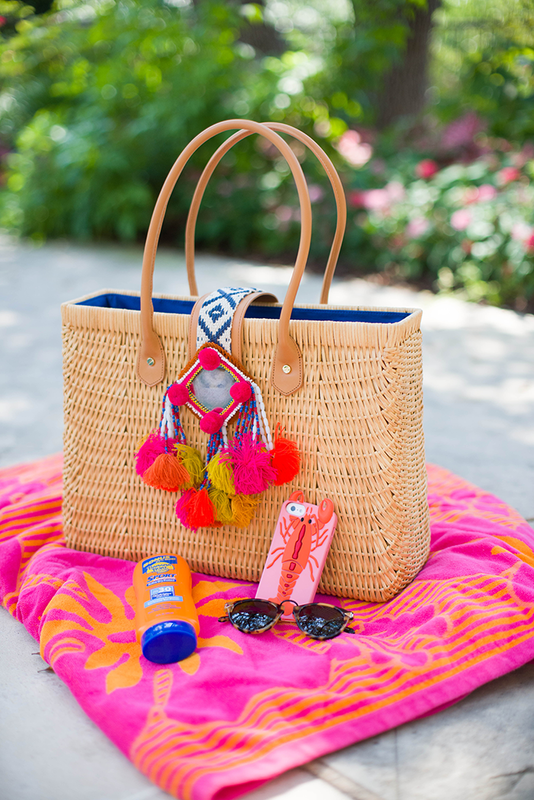 My latest sale find from Tory Burch got a lot of airtime this weekend – the colorful pom poms and summery raffia structure make it the perfect poolside tote! 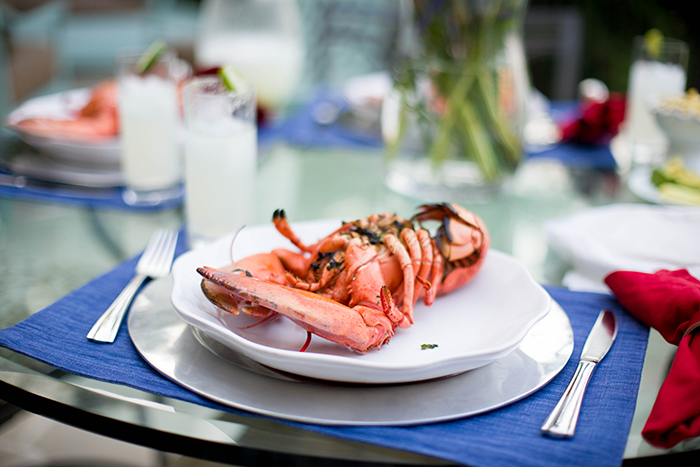 Still loving my lobster iPhone case too – super cute and on sale! I jumped between my Karen Walker sunnies and Ray-Ban mirrored aviators at the pool. 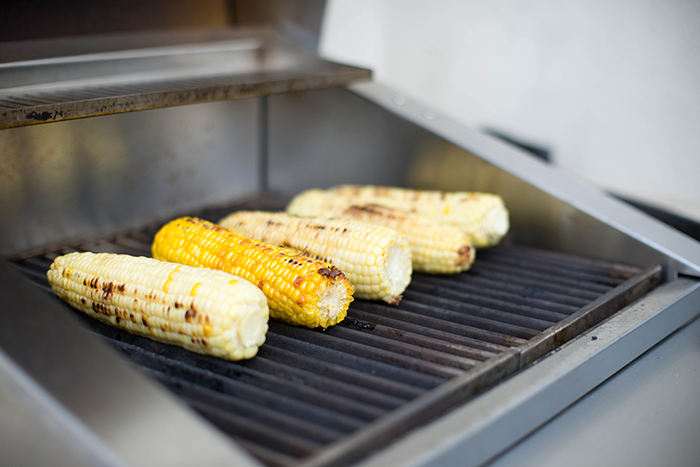 Grilling corn for the salad at dinner! 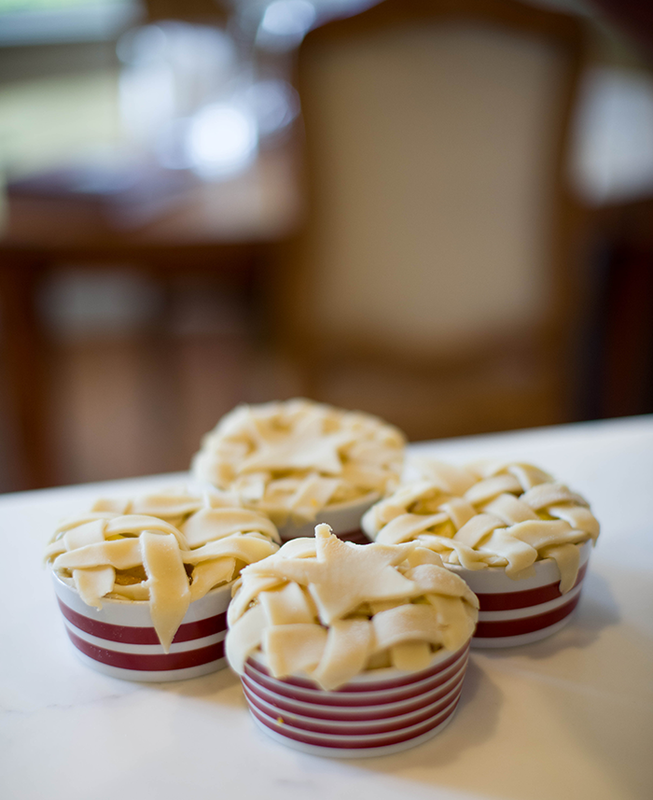 Rachel made these adorable mini apple pies for each of us – they were awesome! My first time cooking lobster was a success, but definitely an experiment! We turned them into lobster tacos – yum. Click here for the recipe! 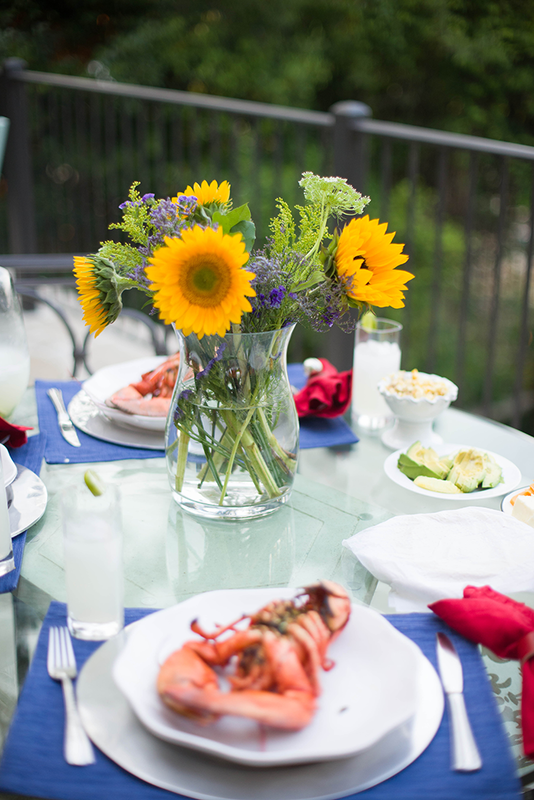 Pretty summer plumes to accent the table. Those mini pies are too much! So adorable! everything looks so delicious! yum. Your photos are already making me look forward to NEXT year’s 4th festivities!